When I was 8 years old, I stumbled across an old, forgotten chest in my grandparents house, while searching for hiding places. The chest was tucked away in the attic space above the attached shed, a place no one ever went to. In fact; I am pretty sure I was not suppose to be there…but I was. Finding the chest & being the snoopy, investigative sort; I opened it to explore the contents, & see if I could fit inside. The chest was relatively empty, filled with little bits of nothing, and a few odd letters. One of the letters, changed my view of the world and the way that I looked at my father forever… It was a letter he had written to my Grandmother, from Vietnam. Opening the steamer trunk was an Exceptional Moment of Spirit for me; one in which the world stood still, marking my soul for the rest of this life. The letter was written for the benefit of the receiver, with his hardships and emotional turmoil minimized, so as not to worry her. But being Psychic I could feel it, I remember reading the letter as if my father were speaking the words out loud; I could feel and hear the emotion, unsaid in his voice filled with fear and unease. The piece that struck me hardest, and has stuck with me throughout my life; was when he told her he would be sending his paycheck home, & that he believed it was enough money for the refrigerator the family desperately needed. My Dad (back row), age 13? My father was raised by his Grandmother (Grammy Brown). She was a powerful woman; a psychic, medium and medicine woman, who made her living selling worms & helping people with their problems. Being raised in this environment and having gifts himself, my father was an energetically sensitive person…in many ways, one far to sensitive for the experiences of war. But poverty is a strong persuader…so he lied about his age, and joined the Marines at 17…a boy going off to fight for his country, unaware that he would someday be fighting for his soul. Two years before my father passed away, his healing path through Spirit truly began. While home visiting, he asked me if he could watch me do a Seance. At first I said no, and explained that it was a personal experience for the family hosting the Seance. Then Spirit stepped in to make it happen…the next day, a client of mine called and asked if there was any way I could see a friend of hers from out of town. It was a day I didn’t normally work, but agreed as long as my father could sit in on the session and simply watch. That moment with Spirit rocked his world; opening his heart, and reawakening his own Spiritual gifts. Over the next two years he spent a lot of time exploring his beliefs and fears of the Spirit world, with my sister and I. He feared who would be waiting for him there, for he witnessed and committed many acts of violence, during his time in Vietnam…acts that haunted his soul, and caused him to fear what was waiting for him. One of the biggest misconceptions he had to face; was that the Spirits of those he had killed did not hate him, and were not waiting to serve vengeance. I explained to him that war and murder do not hold the same level of karmic debt. I asked him if he were the one to have died in war, would he be hateful to the person responsible for his death….his answer is “NO”. It had never occurred to me before that moment; that the scars left on the soul of a soldier, could leave them believing they were deserving of haunting. My father was lucky; he found soul healing at the end of his life, and made peace with the Demons of his mind. By exploring the world of Spirit; through communication and journey-work, he was able to forgive himself. I must say, he was brave and dedicated to the task of healing; spending many hours reviewing the path he had walked and seeking guidance from his Ancestors and guides. But still, the gateway to his healing came from changing roles with those he had wronged; by asking himself if he would haunt his slayer, if he had been the one to die. Through this he was able to find peace. In his death my father is forever an advocate of the Wounded Soldier (physically/mentally). To this day, I know when a client I see is a Veteran before they sit down in front of me. I know this because my Dad shows up to tell me “this one’s mine kid”. Which tells me that they are carrying the wounds of war, that so identified the man my father was. Forgiveness of self, is the hardest thing anyone who has experienced war must do. It begins with exchanging roles with those you have wronged, and asking yourself if you hold a personal vendetta against the soldiers you faced. It also requires that we look at the reasons we chose to walk the path of the warrior…for many, the decision comes out of duty, honor, and responsibility. These things are not the making of a monster. Whether soldiers or not, we all may find healing by practicing self forgiveness. I hope you enjoyed the read. While sitting in the airport yesterday, wasting time; I found myself reflecting on the last couple of weekends…weekends I spent doing Psychic Readings, Spirit Communication and teaching a class or two @ the Lake Morey Resort’s Ladies Retreats. The resort is a beautiful lake side gem, in the Upper Valley region of the Vermont, filled with Spirit. Over the years, I have grown quite fond of the ladies, the staff, and the resort itself; and have found myself looking forward to the first two weekends in March. It’s not quite a retreat for me, as I am generally quite busy…but I do love the atmosphere, and the strong presence of Spirit the space holds. Being there in a professional capacity; as a Psychic Medium, people feel comfortable approaching me to share stories of things they have felt and seen within the walls of the Resort. It is certainly a place where Spirits reside, and I believe the fact that I am there & energetically open the entire weekend strengthens the presence of Beloved Dead, adding a bit of energy for them to utilize. For Spirit to be active in the world of the living, they require an energy source. This energy source can be produced by a human Medium, as well as the land itself. Ley Lines are the energetic life lines of the planet, and have been utilized by humans since ancient times. Stone circles, temples and churches are often located along Ley Lines, as are animal tracks. The Lake Morey Resort lies in close proximity to the Chakra Ley Line, which runs from Danbury, CT to Lake Willoughby, in the Northeast Kingdom of VT. It is named the Chakra Line, as it has 7 highly energetic spots, much like the Human body’s 7 Chakras. Lake Morey, is in close proximity of the 4th Chakra/Throat Chakra…which is known for communication, and the Resort seems fully attuned to utilize it. The Spirits in the halls, elevator, and rooms are generally good natured and pleasant. As a Medium, I am fond of places like this…places where it is not uncommon to see a Spirit sitting in the ‘Card Room’, walking the halls or riding up the elevator with you. There is even a cat Spirit that many of the guest have encountered. This year, the Spirits were very active. I had extra guest in my room every night, including a man who pretty much just stood by my bed as I slept. He was not threatening, in fact…I kind of felt like he was watching over me. This did surprise my friend, who was sharing a room with me. But surprise is different then fear. By the second weekend, she had gotten use to the extra guest and realized that she just needed to go to sleep and ignore them. As my stay with the Ladies at Lake Morey grows, (I have been going for 6 years now I think)…my stay there also lengthens. I will be staying for 4 days, each weekend next year, and filling my time with Stories of Spirit, Communicating with the Dead and Looking into the lives of the Living. If you have not checked out the Lake Morey Resort yet, I highly recommend a stay…it is not only beautiful, but truly filled with Spirit in the best kind of way. Well I am off for the day, enjoying the sun in Florida…I will be posting here and there over the next few weeks; sharing stories of my trip and bits of Spirit along the way. Hope you enjoyed the read Folks. Mornings are magical for me & a lot of inspiration happens around my first cup of coffee in the morning. This morning was no exception. As I stood staring out my kitchen window; patiently brewing the elixir of the gods, the sky did an amazing little dance. The dark clouds broke and a truly glorious beam of sunlight broke through the morning horizon to shine directly in my face. I was truly moved by the break through of such intense light in such a cloudy, dark sky & ran out my front door to capture it the best I can with the camera on my phone. I was not surprised when I saw the picture held orbs. 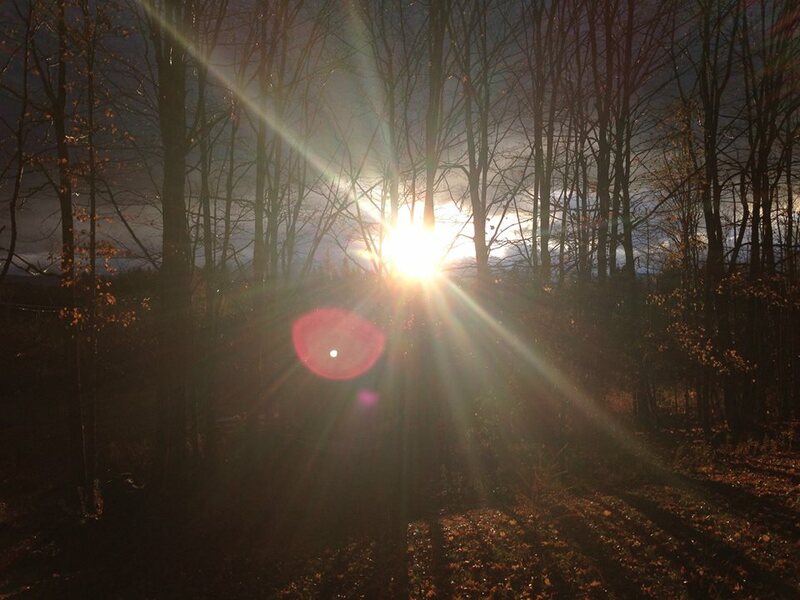 Orbs or light patterns that show up on pictures are often Spirits making themselves known. As a Medium I see the Spirits every day, but am still always pleasantly surprised when I get to capture them in a picture. As a Druid I see moments like this as powerful & the breaking light in the darkness hit me square in the mind with a moment of Awen (the Spirit of Creativity). Halloween/Samhain is a time of inspiration; a time where our imaginations are so ripe that we cannot help but begin our journey to self that Winter holds for us. It is a time when we are truly surrounded by our Ancestors and connected to the journey that we share as a collective group of souls. For our path upon this planet is directly entwined with the threads of our family members who have passed before us. If not for their choices we would not be sitting at this very spot in the tapestry of life. Without the guidance of my Grammy Brown I may not be sitting here writing to you about the Spirit World and my life as a Medium. Without my Father/Richard Brown & his amazing Charisma, I may not be comfortable gathering with groups of people night after night; connecting them with their Beloved Dead. Without my Spirit-guide Adam, I may never have had the confidence needed to tell people the things that the Spirits tell me. Without my friend Mike, I never would have been brave enough to do things I was not perfect at….When talking about my Ancestors, I do not just see my biological family members. I see the friends and loved ones who influenced me in life and still influence me in death. This time of darkness when winter sets in and our minds gently take us inward, is important. It is healing and regenerative…giving us time to remember & to dream. Tonight, tomorrow or the next night-in this window of Samhain (summers end)/Halloween take the time to think about your own path and the relatives and friends who influenced you. The Ancestors who have passed into Spirit who’s lives and nature you choose to emulate. Think on the ones who taught you what ‘not to do’, and the ones that truly showed you what it meant to be alive. Not all of our Ancestors were Wise-ones, but every soul in it’s own way is a Wisdom Holder. Take a bit of time this weekend to honor those who have helped weave the tapestry which you call life & remember…You are not alone! Your Ancestors are with you, supporting you and influencing you in whatever way they can. Sit quietly and remember, ask them to join you for a Halloween treat & allow them to show you they are with you in whatever way they can. Often the easiest communication is a smell or just the simple feeling of ‘knowing’ they are there beside you. Dreams & quick flashes of shadow in the corner of your eye are also ways that Spirit presents itself. Well I am off to get ready for a weekend of celebrating the Dead. I hope you all have a Spirit-filled Samhain & a Happy Halloween! Thanks for reading Folks…stay safe & have a spooktacular good time. There is a peace among gravestones that settles the soul; as if the world around is holding its breathe while we remember love and loss. As a child I was fascinated by cemeteries. I would go with my grandmother to place plastic flowers on the gravestones of family & friends (I always thought plastic flowers were weird, but they lasted longer and it was the 70’s.) Later as a Girl Scout I sent silent prayers to fallen soldiers on Memorial day during gun salutes as we marched around town from graveyard to graveyard. The energy of these hallow places was always unusual, for they are places betwixt & between. They are tended by the living, but all occupants are of the Dead. In Spirit Communication, contact is often made easier during times of Betwixt & Between…when we are not really fully in one world. In our solar year we have times when the veil between the world is thin, such as Halloween and Beltaine (May 1st)…and each day holds hours such as this, at Dawn & Dusk. The light and dark are balanced, and the veil between the world of the living and the dead is thin. These are times when communication with the dead is easier, allowing more people to have personal communication or contact. In many ways Gravestones are physical location markers that too exist in both the world of the living and the world of the dead. People have been marking burial grounds and graves forever…(ok, I really don’t know how old the oldest grave marker, tomb or whatever is but its ancient). Religion and culture have told us time and again that such places are sacred, and to deface them in any way is seen as unholy. Our need to stay connected to our ancestors is ancient, it is in our blood and soul to honor those who have come and gone before us. Throughout time we have also used these locations as places in which to speak to, pray for and connect with our loved ones in Spirit. 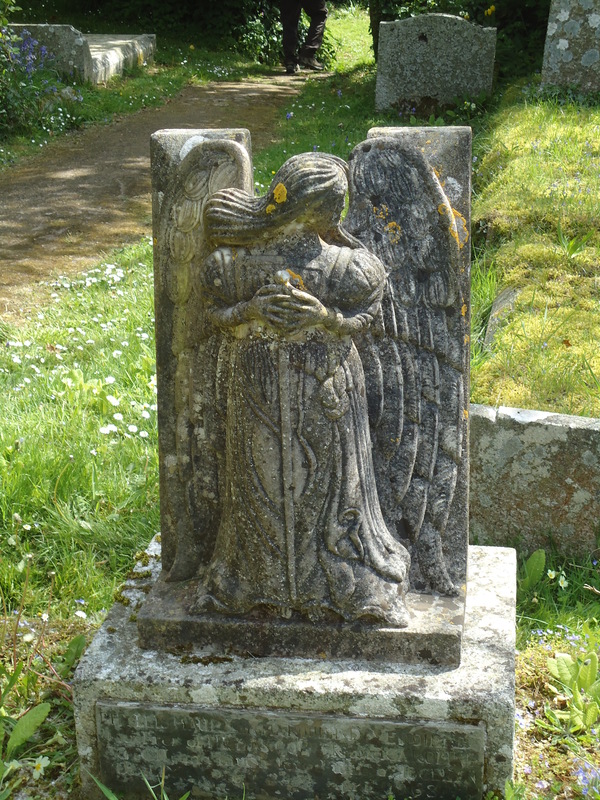 When we enter a graveyard we leave behind our cluttered mind, no longer entangled by our daily worries we come for the soul purpose of visiting those we greatly miss. Here is the cool part, because they have been used throughout time as places of honoring and prayer our Ancestors know when we are there. Kind of like having the doorbell ring. When we stop by the cemetery our Beloved Dead know we have come & they join us. They come to listen and watch as we spend time thinking of them. They visit us in other places as well, but graveyards are an easy one. 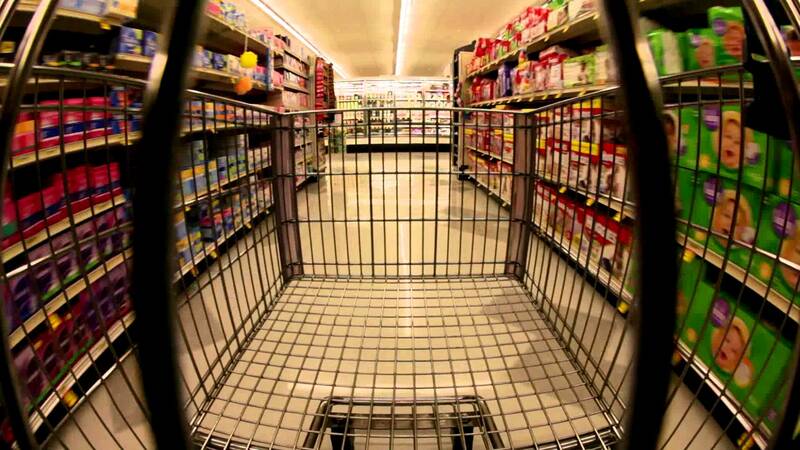 I walked into the next isle expecting to see another Spirit, but instead I saw an old man pushing his grocery cart through the cereal isle. He was about 80 years old, with a bent back and an air of loneliness. It didn’t take long for me to realize the party of old Folk in the store were following him. I wonder if he felt them, I wonder if he knew he was not alone. I’m pretty sure the well put together older lady was his wife & the other men friends. I wasn’t working & I do not approach people to tell them about their Dead without permission. I find it to be intrusive and poor form. I did however spend a bit of time that evening; as I continued my ride home, thinking on how much less lonely we would be as a human race if we were all able to sense the Dead. As you walk through the world this Halloween season, acknowledge that you are stepping through a very thin veil. If you use all of your senses you will notice that the space around you somehow feels thicker. Like a heavy mist settling on the ground, it is comforting & exciting at the same time. You may feel a bit light headed or wobbly; as I like to put it. Take a deep breath and soften your eyes. Allow your vision to spread out, so that you are focusing with your peripheral vision. Pay close attention to thoughts that pop into your head, feelings & visions in the corner of your eye. It is a wild world out there Folks and the Spirit World is just a dimension away. I hope you enjoyed the read Folks, I will be sharing a bit of Spooky all week. If your local or going to be in the Northeast Kingdom of Vermont this weekend, check out my event on Facebook…Stories of Spirit-Tales for Halloween. Tickets are available at the Grindstone Cafe in Lyndonville, VT. I worked at the Mountain View Grand in Whitefield, NH this Monday night. I was hired by a housing agency to perform Rune Readings during their yearly conference. Anyone who looks this hotel up on line will come across plenty of articles about it being haunted, although without serious digging it’s hard to get specifics…instead you get a lot of peoples stories about their stay there. Well I was not there to do Spirit Communication, but I can attest that the place certainly does have it’s share of Spirits. In fact the town of Whitefield itself has quite a few haunted places; I know this personally having grown up there. When I arrived at the Mountain View Grand, I was directed to the upstairs ballroom. I took a quick detour to the bathroom before introducing myself to the president of the housing agency; who hired me. The Mountain View Grand is indeed Grand, it’s a pretty posh place with a lot of charm. As I washed my hands in the luxurious bathroom, checking out my outfit in the many mirrors…I saw a woman walk into the bathroom, when I turned to look at her I realized she was a Spirit. I believe she was from the 1920’s. The hem of her cream colored, beaded dress was just below her knees. She wore a matching hat with a big brim, that was pinned up fashionably on one side. She seemed shocked when I looked at her and said “Oh hi…I’m not here for you tonight.” I finished up in the bathroom and met with my host, leaving the fashionable Spirit to ponder on me. The upstairs hallway, just outside the Crystal Ballroom had so many Spirits in it that it felt a bit wobbly. I call it wobbly as that many Spirits in one place creates a bit of a distortion, which makes the sensitive feel a bit light headed or tipsy. As I was working and had not had anything to drink, I knew this for what it was. But I am sure plenty of guests who imbibe there find it remarkable how quickly they become intoxicated. I knew ahead of time that the resort was known to be haunted; having heard many stories. What surprised me was the shear number of I encountered. They decided to set me up in the lobby downstairs, in a comfortable corner that gave people a bit of privacy. Throughout the night I was continually surprised by the number of Spirits mingling in the crowd. I was not at all surprised however by the number of guest I read for who spoke to me of their own experiences of seeing & feeling Spirits in their rooms. 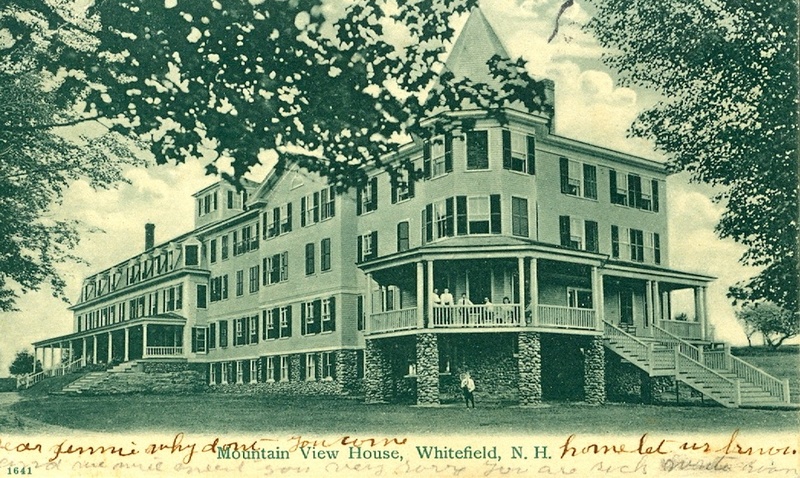 The Mountain View Grand shows up in many post about Haunted New Hampshire & you can find plenty of personal tales on line from guest who have stayed there. Although in the short bit of digging I did, I couldn’t find any specific details about why it would be haunted. I can tell you that the whole town of Whitefield has a strange energy. Not a bad energy, just a bit of a time-warping kind of thing. I speak this from the experience of growing up there. I lived in Whitefield until I was 15 & I have always felt that it was a town that sits between time…a place where memories hold strong. Perhaps that is why so many Spirits have taken up residence at the Mountain View Grand, after all it was originally a place for the opulent to get away from the hustle bustle of the real world…the women & children often spending their summers there, waiting for their husbands to arrive; by train on Friday night…celebrating their arrival with a dance in the Crystal Ballroom. I guess it would seem a bit like heaven to some, perhaps that is why they stay. One thing I can tell you is if you are looking to experience a bit of Spirit action, the Mountain View Grand is definitely worth the stay & the Spirits are quite well dressed. A few years back I received a distressed call from a young mother who believed her house to be haunted. They first started experiencing disturbances when they began renovating their old, colonial house in northern Vermont. At first family members didn’t think much of it, calling it imagination as they caught movement out of the corner of their eyes. 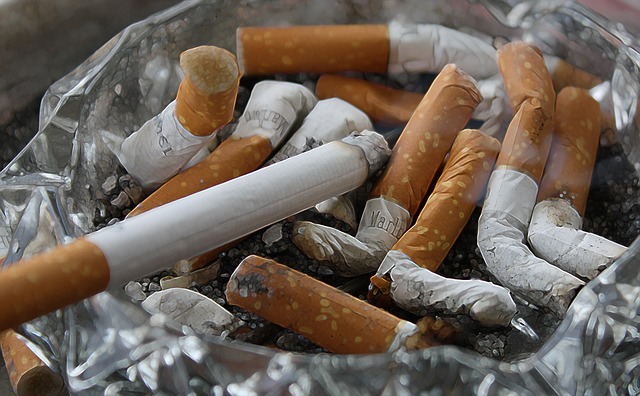 Then their 10 year old son began sneaking cigarettes in his bedroom. Or more appropriately put…they believed their son was smoking. This went on for a few months, with their son repeatedly professing his innocence and the parents becoming more frustrated. As their bedroom was directly across from his, they knew without a doubt that they were smelling smoke. Finally one day while the mom was cleaning the living room, her preschool daughter said “Who is that man on the stairs?”. After talking to her daughter, the mother then called me and asked me come take a look at their house. On the phone I started with my regular line-up of questions. “Do you have a teenager or anyone with a mental illness living in your home?” & “Has there been any construction or renovation on your home lately?” These two questions give me an idea of what is going on in the home before I even get there. They are not be all/know all questions, but more a foundation to start with. The first question “Do you have a teenager or anyone with a mental illness living in your home?” is an important one, because often what is perceived as Spiritual Activity is in fact Kinetic energy from an unbalanced human. And yes…I did just compare teenagers to people with mental illness. In both cases-teenagers & people with mental illness there is usually a high level of chemical and emotional turmoil. Both groups of people also find it difficult to express themselves or to be understood. This can create a lot of Kinetic Energy which may result in Poltergeist activity (physical disturbances; noises, moving objects, etc). If the answer to my first question is “Yes”, then I have to consider that the house may not be haunted by a ghost, but by a living person. I have personally experienced Poltergeist activity, including that which I myself created… On more then one occasion, under stress I have caused items in my house to fall off shelves & items to move. One time in particular stands out to me… I had come home from work late and had forgotten to tell my family that I had clients coming in the early a.m., like most houses mine is lived in and was a bit of a mess. I was frustrated with my family, but in truth it was my fault for not letting them know about my schedule. Instead of asking for help I just got silently pissed. Well sort of silent; in the sense that I didn’t say anything, but the energy I gave off was another matter. I began to clean my house like some kind a mad woman, whirling about. I do have to say it was amazing what I did in 30 minutes…but then as I stood doing my dishes, fuming with anger…I noticed things kept falling off the altar I have above my sink. They were not placed there precariously, and it was not just one item. So…I took a deep breathe, walked away from the dishes, out the door and screamed (the benefits of living in a very rural place). After I calmed down, I came in and asked for help from my family. This little bit was shared so you could see that displaying Kinetic Energy & creating Poltergeist activity is usually a sign that you feel bottled up and frustrated at not being heard. It does not make you the real life star of a cult classic horror story. The second question “Has there been any construction or renovation on your home lately?” is important because changes in our home can create a disturbance energetically for Spirits that may still be attached to it. It is also the most common reason for sudden activity. The Spirits; who for whatever reason are attached to the home, do not understand why things are changing & they start to get restless. When a house ‘suddenly’ becomes haunted it means something has happened to stir things up. Most of the time all that is needed in these cases is a bit of negotiating, which is what I did in the Smoking House. The young mother had answered ‘yes’ to question #2. There had been a lot of recent renovation in their home, and ‘yes’ activity had been noticed after renovation had begun. So I started by getting a grand tour of the place. Something I always do first. I walk through the house and pay attention to what I experience in each room…this is my way of ‘Reading’ the house. I am looking for Spirits and any sign that they have been hanging out in particular places. I come to all house clearings with a box of tools, ready for whatever awaits me…but in truth, 90% of the time I usually end up just talking to the Spirit; seeing what they need & then doing negotiations between the living tenants and the dead. In my tour of the house, I was not at all surprised to find an old man sitting in the bedroom that belonged to the 10 year old boy…and the room reeked of cigarette smoke. He was not the most pleasant of Spirits, nor was he a psychopath…merely an old-curmudgeon who had not found his way to the other side of the Veil. I started by making sure he knew he was Dead. Which he did. Then I told him he couldn’t keep acting out the way he was & that he couldn’t keep smoking in the house. He then told me as he sat smoking in the chair next to the bed, that they couldn’t make him leave and that it was his house. He told me that it was his house and that he could smoke in it if he liked. To which I replied, that they may not be able to…but I can & you technically are not longer the owner of this property. It was remarkable the turn around in his willingness to cooperate. In fact, he agreed to not smoking in the house and not purposely trying to startle the Living residence. In part, the family agreed that he could stay on as long as he continued to follow the rules. It has been my experience that in most cases of House Hauntings there is an amicable solution for all parties. In the rare cases where the Spirits in the house are unwilling to negotiate-Spirit-eviction notices follow suit.